Get your "Hens On Board" and get ready to travel to your mementos hen party! But don't forget to decorate your hen party car first with some personalised hen party accessories! Choose this personalised hen party car sticker for your hen night with it's lovely decorative edging and flouncy font. You can even add some crazy hen party car flags too. 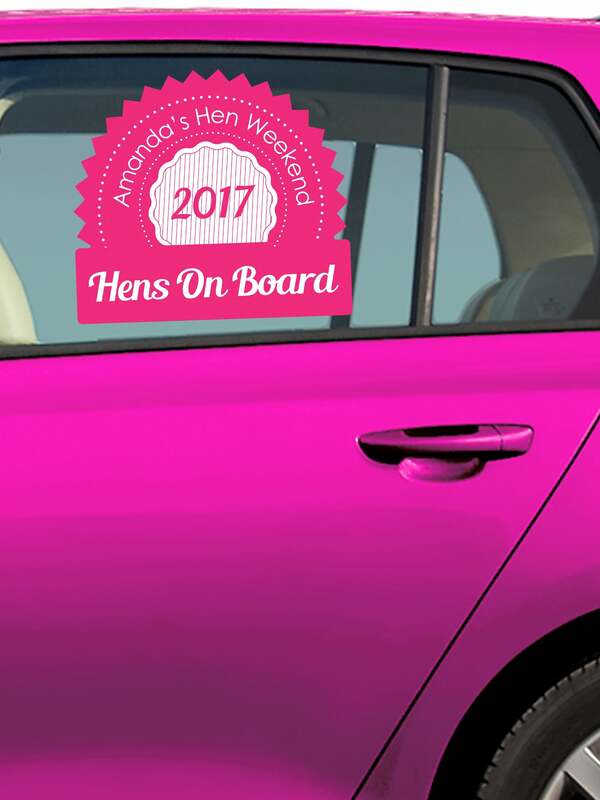 With this personalised hen night car sticker you can have your hen party details printed to make it even more meaningful for your bride to be.